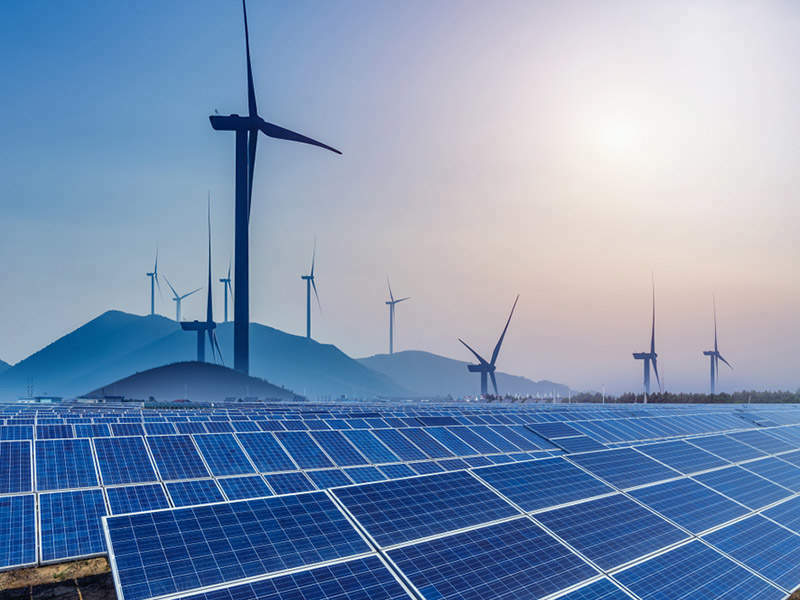 HydrauRent offers customised solutions for additional hydraulic capacity in the renewable energy industry. Additional capacity can be delivered whenever required, at any location with customised hydraulics available for rental. Investing in hydraulic equipment is not always financially viable; often it is used once for a project, with many hidden costs linked to the actual purchase. Those wanting more hydraulic power at their disposal as a temporary replacement for projects or as additional capacity choose HydrauRent. With HydauRent, you will have equipment that is always in optimum condition, wherever you need it, without having to make costly investments. In addition, maintenance and repair work will no longer be necessary with HydrauRent. 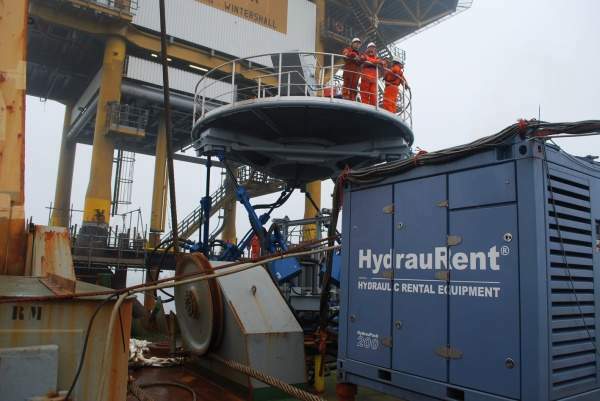 Rented equipment can be installed and commissioned on location by HydrauRent’s highly-qualified engineers. The company also offers advantages after-use compared with equipment that is purchased by companies. Systems not being used must be stored, then inspected and certified at set intervals. HydrauRent will relieve you of these additional costs in one go. You can be assured of professional advice and a transparent cost overview regarding a possible rental solution because of the company’s extensive know-how and experience in hydraulics. The HydrauRent programme includes the HydrauPack, comprising diesel and electronically-driven hydraulic powerpacks in several capacities. The company developed a modular concept consisting of 10ft containers, which can house hydraulic customised modules with a generating capacity of up to 200kW. Individual modules can be quickly and easily connected to units of up to 800kW in a 20ft container. Each unit can be customised to meet specific customer requirements. For example, a unit can house a fuel tank, a storage solution for materials or act as a working container. HydrauRent offers rental of hydraulic filtration units for cleaning hydraulic oil, and dewatering and de-aeration systems. The latter option can be rented as an ATEX version depending on the application area, which will ensure it can be used in explosive environments. A flushing unit can be quickly supplied for cleaning hydraulic systems under the HydrauSupport name. The HydrauRent programme includes the HydrauTool for high-pressure hydraulic equipment, such as hand pumps and jacks in different dimensions, including related rapid couplings and nozzles. Hydraulic winches can now also be supplied under the HydrauWinch brand. 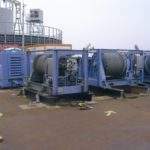 The package includes standard hydraulic winches, full option Composite Technology (CT) and hoisting winches, which ensures a comprehensive range of available solutions. 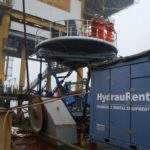 HydrauRent supplies companies working offshore with rental equipment. Rigsafe units and HydrauPacks with ATEX Zone I and II certification, including DNV 2.7-1 complying frames, are available for rent. 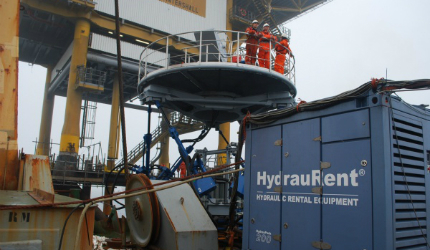 HydrauRent’s equipment is designed and built for offshore conditions. 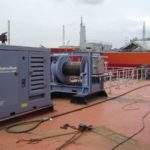 Our 24/7 organisation is certified to maintain and repair the offshore equipment worldwide. Hydrauvision has built a large safety system for the Carlyss Spool Base. On this Spool Base, steel tubing is manufactured, which is then wound onto vertically positioned reels with a diameter of 24m. The tubes may have a length of up to 1km and a diameter between six inches and 16in. 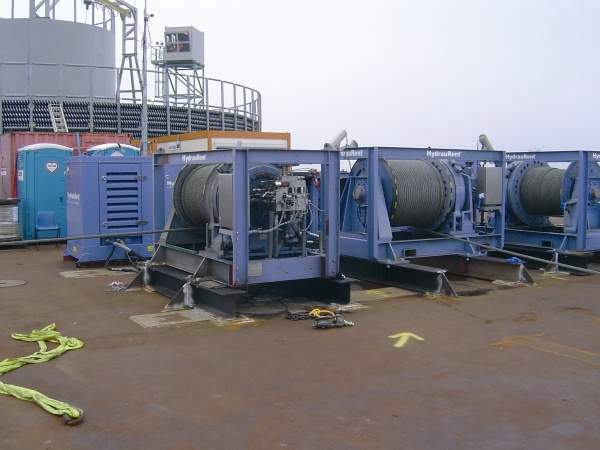 The reels are positioned on a floating vessel moored at the quay. 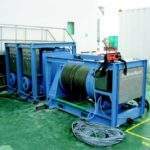 Considering that the pulling force of our rental winches differ each time, the mechanical winding method via a grooved spindle construction is not suitable, whereby the cable is wound using a parallel movement from left to right and vice versa. 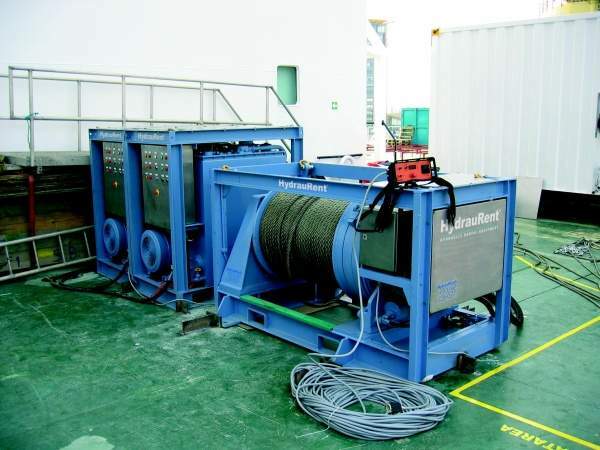 That is why we have developed the new HydrauTool Spooler 25/50 winch spooler, which is used to evenly wind a winch cable across the full width of a drum. A wind farm consisting of 64 wind generators has been built in the Baltic Sea. The water depths vary from 20m to 40m. The project started in August 2013 and was successfully completed in April 2014. All hydraulic installations were performed using Hydrauvision Rental equipment. By order of a Belgian machine factory, Hydrauvision Systems has developed the drive and the controls for a heavy hydraulic press. The client was a leading manufacturer of construction elements such as roofing and façade panels. The company is the Belgian market leader in solutions for roofs, façades and walls. 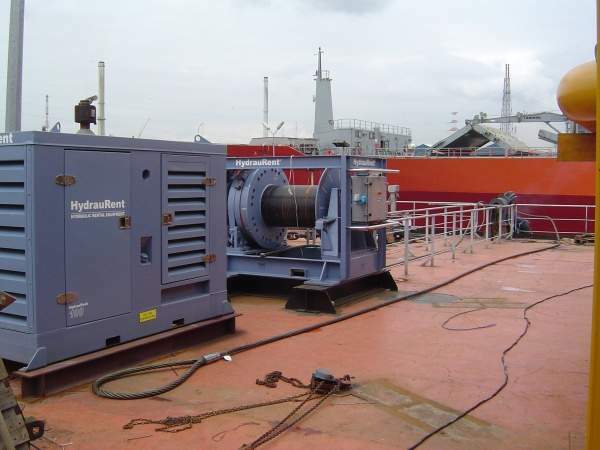 In one of Hydrauvision's operating sectors, the dredging sector, piping requires special attention to be paid to the environment it is applied in. A floating semi-submersible platform was built to mine liquid natural gas (LNG) from an extensive gas field, which has been discovered in the Timor Sea, off the North-West coast of Australia.